We’ve recently spent some time visiting friends in Poland. I had the iPhone 3GS and Nokia N86 with me at all times. 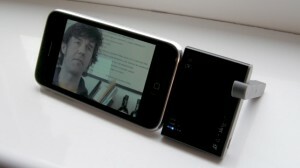 Although the Nokia N86 is noticeably kinder on its battery than the Apple iPhone, both are battery eaters! As this was our first time in Poland, we spent a great deal of time travelling from one landmark to the next, all of which were miles away from a fixed power outlet. As we travelled from one location to the next, I used the Proporta 3400 to top up the battery of the iPhone and N86. 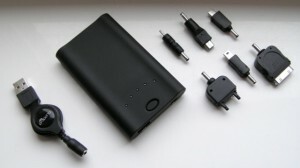 In this scenario the goal was not to fully charge a smartphone battery from empty, but rather to keep a couple of devices alive with regular short boasts. So how did it perform? Very well indeed actually. Despite it’s large capacity and numerous device adaptors, the Proporta is small gadget that can be slipped into any jacket pocket without bother. The swappable heads system means that it can charge a wide range of smartphones, from the proprietary iPhone socket to the more common Mini and Micro USB sockets. As an aside, because of the range of charing heads the 3400 can charge some games consoles such as the DS Lite and also various popular makes of dedicated Sat Nav devices. My phone habits have changed somewhat during 2009. I now find that my main gaming device is my iPhone. Recently I have been playing ngmoco’s amazing Eliminate, a 3D shooter with online multiplayer capabilities (My Plus+ username is jamesburland, feel free to add me). As you can imagine this is an application that can destroy battery life. I’m sat playing Eliminate in the lounge and I can’t really be bothered to go and move my charger from my office. Fortunately the Proporta 3400 is man enough to keep the battery alive for the entire evening. The only negative thing that I can say about using the Proporta in this regard is that the bulky iPhone power adaptor kind of gets in the way somewhat. It’s nothing like as bad as the Kensington (I’ll come on to that a bit later), but it would be nice to see Proporta ship the 3400 with a iPhone adaptor that was a tad smaller and with the cable coming out the side rather the back. Both the iPhone and the Nokia Nseries devices can perform as excellent satellite navigation devices. Nokia’s smartphones come preloaded with Nokia’s own mapping and navigation software and the iPhone can be beefed up significantly in the travel assistance department with various third party solutions. During the Summer we visited friends in Wales. Over the course of the weekend we covered around 300 miles driving between tourist attractions. Being able to keep the phone charged in order to provide Sat Nav services was vital. Even a fully charged iPhone is only good for about around 3 hours continuous navigation, but with the help of the Proporta 3400 we were able to drive around most of the day and still have juice to spare to upload some pictures to Twitpic. Yes there are plenty of other charging solutions available, but none offer quite the same balance of power and adaptability. 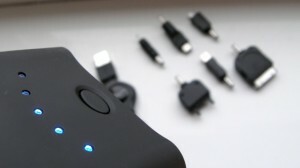 I’ve already mentioned the Kensington Battery Pack for iPhone and iPod. It’s quite a nice solution as it also provides a way of keeping the iPhone propped up for movie viewing. Unfortunately, at just 1000 mAh the Kensington Battery Pack doesn’t even provide enough juice to charge the iPhone once. In conclusion, the Proporta USB TurboCharger 3400 is cheap yet powerful way of extending the operational life of your smartphone. Previous Entry: BBC accidentally reveals native iPlayer app?